She was born July 14, 1938, in Lewis County, a daughter of the late Mearl and Reba White Dyer. Lillian was a lifelong member of Laurel Point Christian Holiness Church and worked as a cook for the Lewis County School System. She loved going to church, singing in a trio with her sisters, singing in a quartet in church, and Psalms 98:1: “O sing unto the Lord a new song; for he hath done marvelous things: his right hand, and his holy arm, hath gotten him the victory.” She also enjoyed cooking and spending time with family and friends, especially her grandchildren. In addition to her parents, she was preceded in death by one sister, Avis Sparks; and one grandson, Christopher. 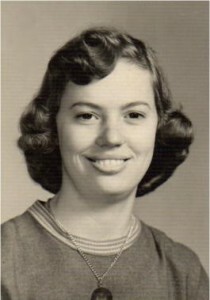 Lillian is survived by her husband of 59 years, Ernie McRoberts; two sons and a daughter-in-law, David and Karen McRoberts of Emerson, and Jerry McRoberts of Orlando, Florida; three grandchildren, Joshua, Craig, and Jason; five great-grandchildren, Hunter, Trinity, Brooklyn, Abigail, and Amelia; one brother and sister-in-law, Carl and Lois Dyer of Emerson; and two sisters and brothers-in-law, Doris and Michael Harris of Winchester, and Clara and Ronald Hamilton of Coalton. She also leaves many other family members and friends who will sadly miss her. Services will be at 11:00 a.m. Wednesday, March 23, 2016, at Globe Family Funeral Chapel at Camp Dix with Bro. Stephen Harris and Bro. Jerry Jordan officiating. Burial will follow in Morgan Cemetery at Head of Grassy. Friends may visit from 6:00 p.m. until 9:00 p.m. Tuesday, March 22, 2016, and until the service hour on Wednesday at Globe Family Funeral Chapel, 7975 Lower Kinney Road at Camp Dix. Jason, Craig, Joshua, Stephen, Jimmy Dale, and Mike will serve as pallbearers. In lieu of flowers, memorials may be made to Community Hospice Care Center, 2330 Pollard Road, Ashland, KY 41101.